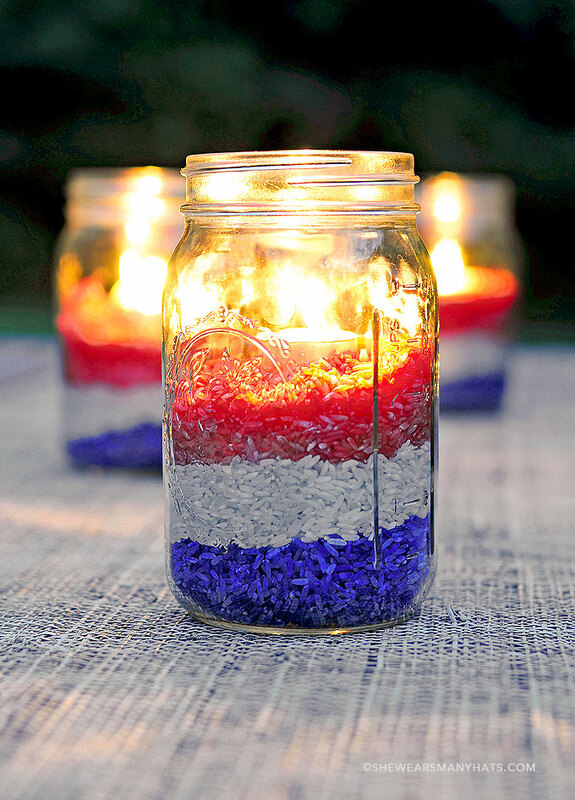 This simple Memorial Day craft is also versatile in use. Whether going to a Memorial Day parade or service, or decorating at home, this patriotic pinwheel is a fun craft to show your patriotism. Two piece of construction paper- use red, white, and blue to represent America! 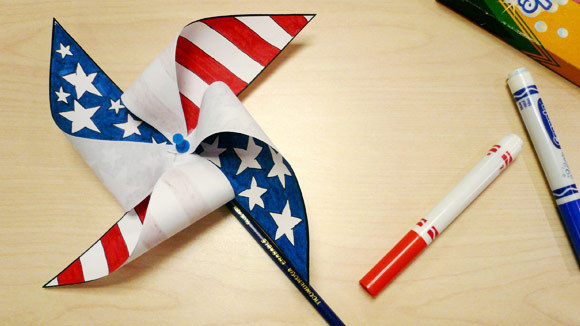 Now, you have a patriotic pinwheel! Have child think of characteristics related to America that starts with each letter- for example, for letter ‘A’ the word “Awesome” could be used. Instead of writing the full word “Awesome”, the child would use the ‘A’ already written and write “wesome”. The move to the next letter! This Memorial Day activity reinforces the idea of descriptive words and synonyms. A child may have a word in mind but need to think of a way to replace that word with a synonym that has the correct first letter. This Memorial Day activity involves more critical thinking- its like a puzzle! The parent will take 5-10 words or more related to America and Memorial Day like: “Military”, “Eagle”, etc., but scramble the letters and have the child unscramble the letters! To scramble the letters, you can use a free site like this word scrambler. Then, copy and paste the scrambled words into a document to print for your child! Seal Ziploc bags very well, then shake! Now, you have a patriotic Memorial Day decoration! When you are ready to use, simply unscrew the cap and light the candle! Enjoy these Memorial Day activities for elementary students while being creative, working your brain, and remembering those who have served to protect America!